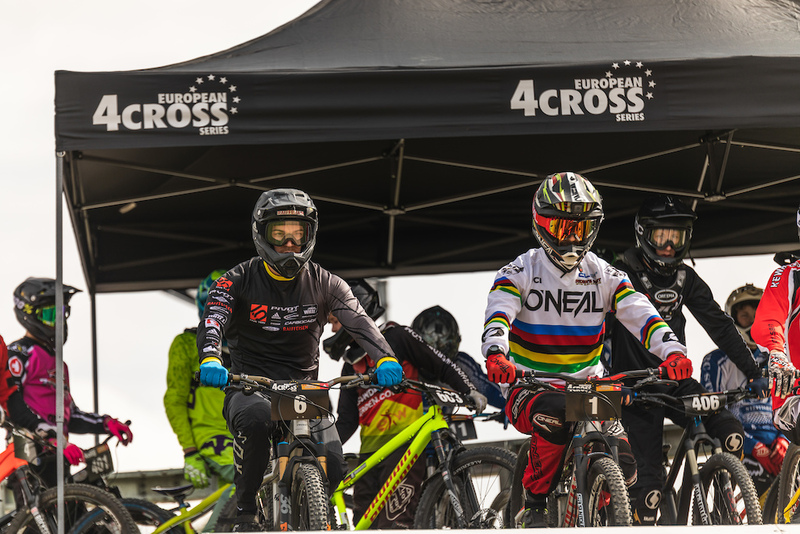 Last weekend the 4Cross riders fought for the top spots in Leibstadt on the 11th and penultimate round of the European 4Cross Series. 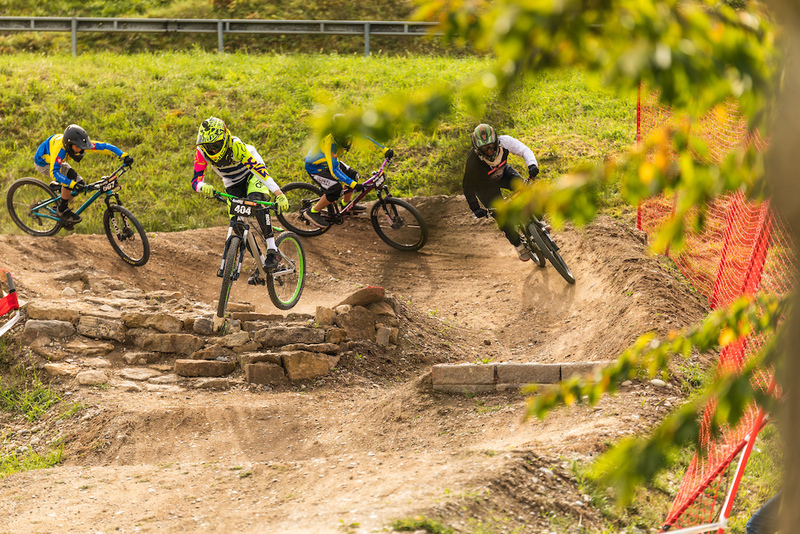 The perfectly organized event in Leibstadt offered 4Cross action at its best. 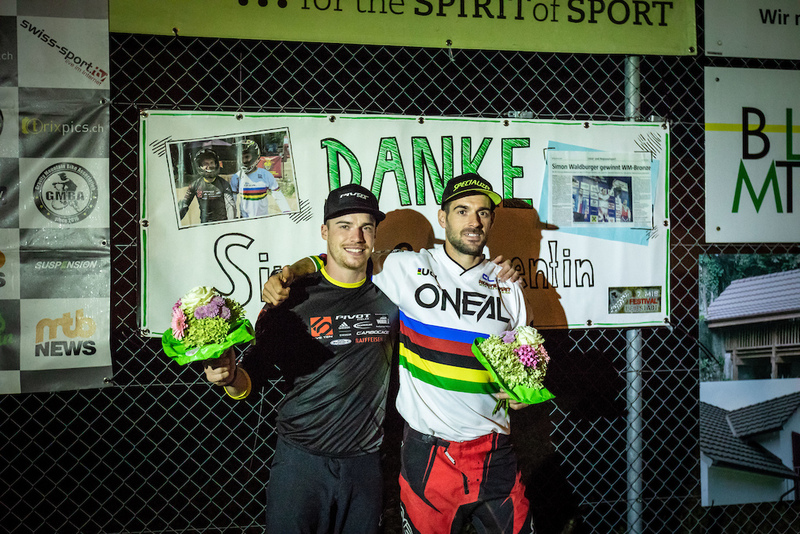 In the elite categories, there was a Swiss double victory - Simon Waldburger and Saskja Lack are the winners in 2018. 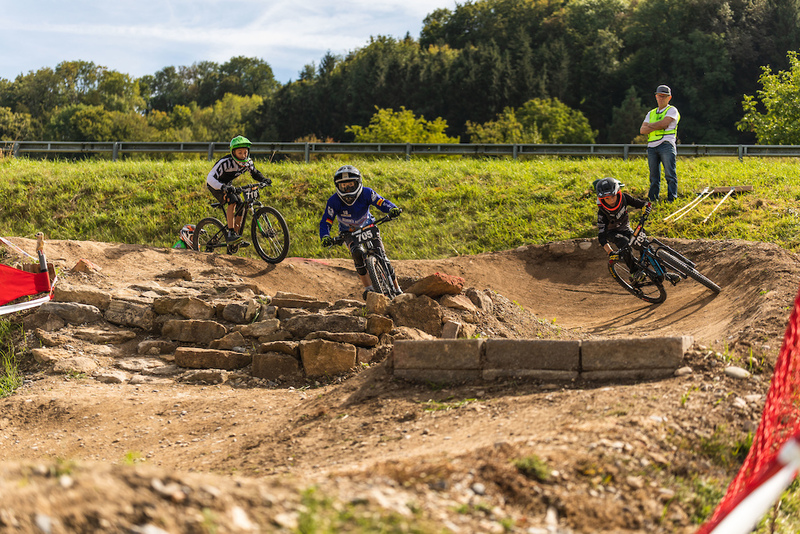 The riders were met with perfect conditions in Leibstadt: sunny autumn weather and a rebuilt flowy, technically and physically demanding track were found in Leibstadt. Shortly before 5 p.m. the voice of the speaker roared out of the pits with the words: "All riders to the pre-start". The riders grabbed their equipment, performed the final rituals and so the race started punctually, simultaneously with the livestream broadcast on the Internet. The youth do not hold back. Fabian Lapp, closely followed by Tim Schaub and Tino Dieterle, won the youngest category the the U11. In the U13 Fabio Santos won ahead of Robin Fankhauser and Julian Gürsch. In the U15 category, Samuel Schoger who crashed in semifinal once again showed his superiority this season and won ahead of Noel Harter and Kevin Kern, who fought to the finish line for second place. In the Hobby category, Alexander Letang wanted to start early and unfortunately crashed over the starting gate. Tobias Eichmann (VC Leibstadt) took the lead after a good start and won his first race after a longer break. Sacha Duc (B+B 4Cros Team) sprinted past Luca Roth (Radclub 93 Winnenden) on the last straight and secured second place. The Masters men's also fought eagerly for the day's victory at a slower pace. Once more Pascal Guggisberg could hold his ground ahead of Samuel Weber and Andreas Gürsch. As expected, the runs were really fast in the junior category of the under 17s. In the final were the Swiss Fabian von Allmen, the German Eddy Massow, the Swiss Michael Duc and the German Manuel Sierra. Eddy Massow pushes Michael Duc away in the first corner and takes the lead. Fabian von Allmen attacks on the inside berm, but has to line up on position two because of the missing momentum behind Massow. Duc holds his own in front of Sierra at the end and finishes the race in third position. So once again Eddy Massow proved his excellent performance and won the day. Saskja Lack pumping for gold. In the women's big final, Swiss BMX rider Saskja Lack won from start to finish ahead of Austrian Vanessa Kager, also from BMX. The still young talented Nina von Allmen took third place, closely followed by Marisa Roth. The small final was won by the Swiss Lea Graf, who took the last remaining place on the podium. With the elite men, one could hope for action-packed races. 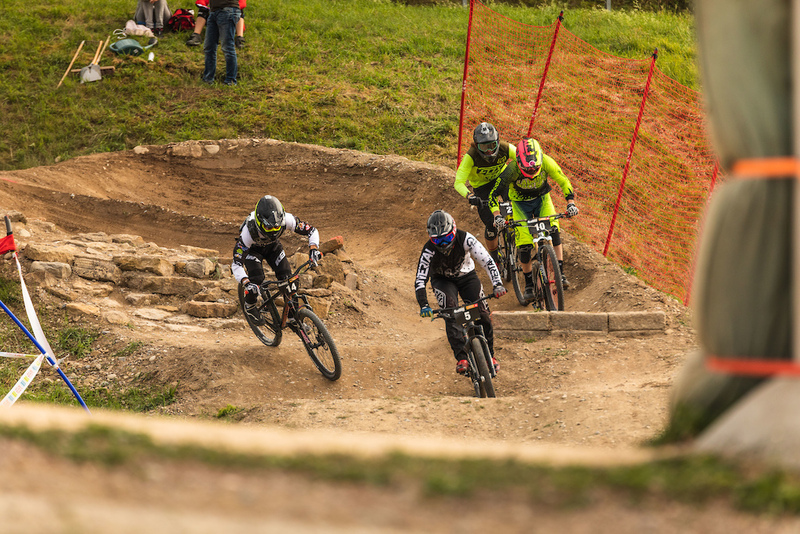 With the Swiss Downhill Champ Noel Niederberger and the Pumptrack World Champion Channey Guennet, as well as the current 4Cross World Champion Quentin Derbier, several top-class world elite riders were at the start. Already in the qualification the downhill professional Noel Niederberger showed that he can be counted on. He won the qualification just ahead of his club colleague Simon Waldburger. Channey Guennet finished third ahead of Quentin Derbier. The German champion Ingo Kaufmann could only qualify for 10th place in the top-class field of riders. The following Kids-Race provided an amusing entertainment for the present families and spectators. The riders of the elite used it as preparation and recovery time for the final runs. Right at the beginning of the elite men's finals, breath taking action was offered, although some favourites were eliminated early. In the first heat of the round of sixteen, qualification winner Noel Niederberger proved his good form with a start-finish victory. Jan Evers, also VC Leibstadt, overtook the still young Samuel Willimann on the ProLine and took second place. Willimann tried it in the last corner with a narrow curve line, which unfortunately took him down. Fortunately, he remained unhurt. In the next heat, it remained exciting from beginning to end. The two leading riders had to brake on the ProLine, so Connor Hudson saw his chance and jumped through between both riders. In the following corner, he did not shut the door enough and fell after contact with Jiri Vcsely. In the end, David Spurny won ahead of Christian Maibach. In the third heat, World Champion Quentin Derbier won with a clear start-finish victory ahead of local hero Fabian Gärtner and German Erik Emmrich. In the next two heats Robin Bregger and Yannick Pfister, as well as Simon Waldburger and André Graf were able to assert themselves. In the next run, the Frenchman Charly Gaillard and the current German champion Ingo Kaufmann could easily distinguish themselves from the competition and qualified for the next round. In the second last heat, the pump track Crankworx World Champion Channey Guennet took the lead, followed by Tim Gürsch and Jojo Rauterberg. Rauterberg attacked the ProLine and was able to take second place. The last heat in the round of sixteen, on the other hand, was a little less interesting when Gustaw Dadela from Poland qualified for the quarter finals with a start-finish victory together with Jakub Kantor. Many line choices in the first corner. 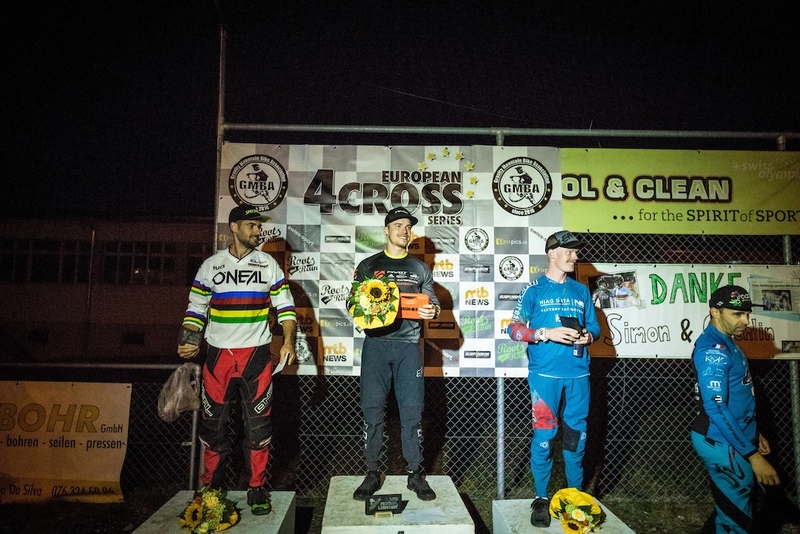 The tension in the quarter finals of the elite men's category increased even more and so the two Leibstadt club colleagues Noel Niederberger and Jan Evers could assert themselves in the first run with a start-finish victory. In the second heat a similar picture could be seen when Quentin Derbier turned into the first corner on position one and Robin Bregger jumped into the outer berm and followed him to the finish. In the next heat Simon Waldburger showed why he had qualified on the second place and won ahead of the Frenchman Charly Gaillard. In the fourth and last heat, there was no lack of action. Kantor and Dadela were ahead of Guennet on the ProLine when he arrived with more momentum and jumped over the line towards ChickenLine. Guennet took position two after this action but was reset to position 4 after the run because he crossed the line clearly. spectators enjoyed watching the action in front of them together with the last warm summer conditions. The tension on the riders was clearly noticeable from the semi-finals onwards. Derbier, Niederberger, Bregger and Evers are at the start. Derbier takes the lead and forces Niederberger to make a mistake, which is why he clicks out. Robin Bregger chases Quentin Derbier on the ProLine. Jan Evers dives in on Bregger in the last turn, which costs both of them the swing to the last straight. Noel Niederberger on the hunt for the double Swiss Champion title (Downhill and 4Cross) takes advantage of this and takes second place at the finish jump. Thus the two favourites of the first semi-final run are in the big final. Quentin Derbier leading in front of Fabian Gärtner and Erik Emmrich. In the second semi-final, Kantor, Waldburger, Dadela and Gaillard are at the gate. Waldburger and Gaillard sit next to each other at the top and they get in touch, which has both oft hem losing their speed and nearly getting off track. Dadela therefor, being already in the lip of the jump, lands on waldburgers back wheel and crashes hard. Kantor has no more possibility to avoid and crashes as well. Simon Waldburger and Charly Gaillard then managed to entert he final without any more issues. In the small final the Polish Gustaw Dadela, who was down in semi-final, took the lead, followed by the German Robin Bregger. Head to head to the last straight, they fought for the last podium place. In the end, Bregger was only a few centimetres ahead of Dadela, who had been weakened by the crash. Who will be the next 4Cross Swiss Champion?! Three of the four fastest riders from the qualification were at the start of the big final. 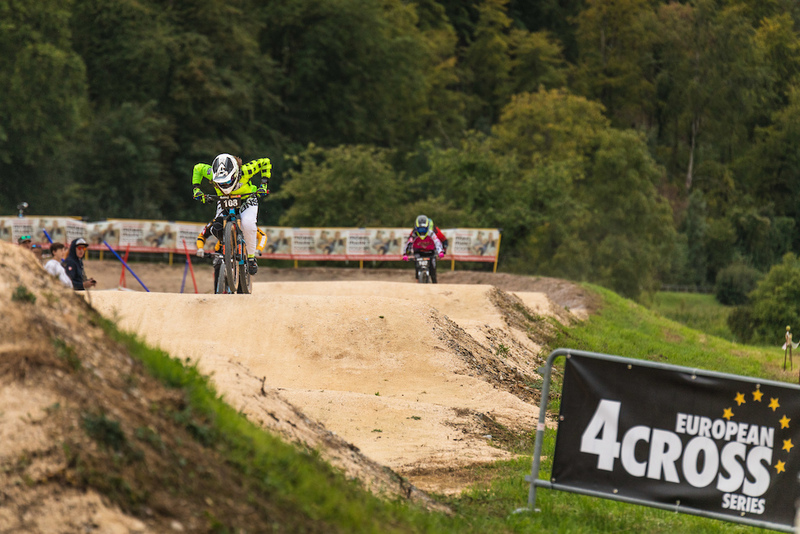 The two local heroes and Swiss riders Simon Waldburger and Noel Niederberger were also looking for the Swiss championship title in 4Cross in the day's victory decision. Waldburger, who ends his long and successful career after this home race, naturally wants to end it with a title. Noel Niederberger, the downhill professional, wants to win a second title with the already existing Swiss downhill champion title. Derbier, Gaillard, Waldburger and Niederberger are at the start. All highly concentrated and waiting for the gate drop. The gate falls and the world champion Derbier takes the lead. Waldburger slightly pushes Niederberger away and jumps into the outer berm. He takes advantage of the momentum he has gained and takes the lead. Derbier and Niederberger try to follow, directly behind the Frenchman Charly Gaillard. Niederberger attacks Derbier in the last corner. However, the 4Cross World Champion proves his strength and asserts himself and remains in second place. Gaillard tries to attack Niederberger again but remains unsuccessful in the end. 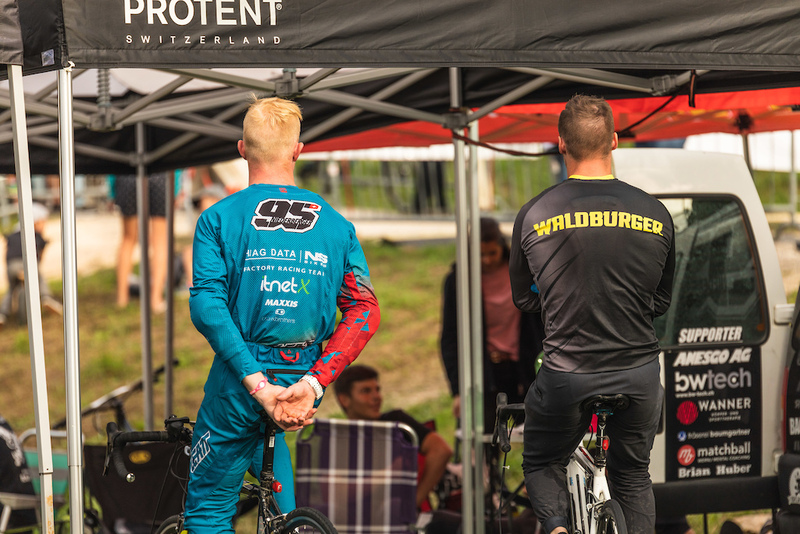 Simon Waldburger was able to assert himself in the last race of his successful career, which was also marked by serious injuries, and secured another day's victory and Swiss championship title on his home track in Leibstadt. The current 4Cross World Champion Quentin Derbier also finished his successful career as one of the World’s top riders and was happy about a successful last 4Cross Race in Leibstadt! 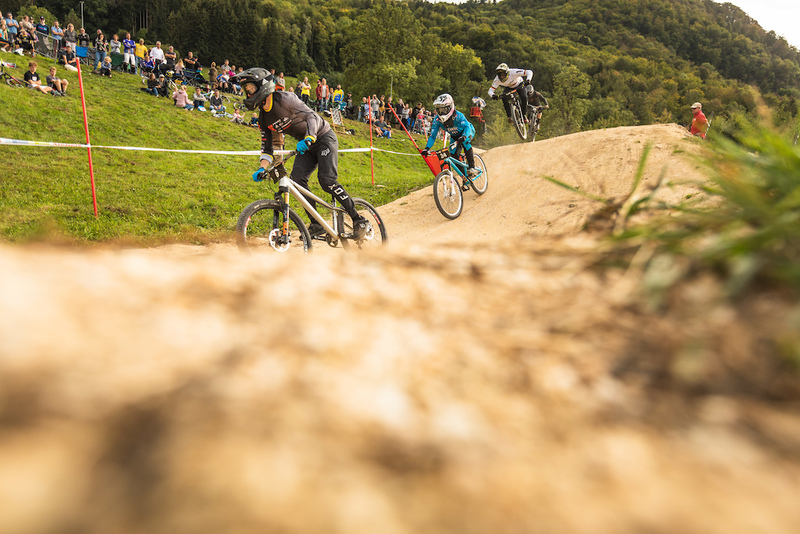 Following the finals of the European 4Cross Series, the VC Leibstadt held a new racing format. In the Battle of Nations, two riders from the same nation fight together as a team against their competitors. The qualifying places were drawn by online voting. In the end, the ranking points of the drivers in the individual races will be added together, from which it will be decided which team will enter the final. 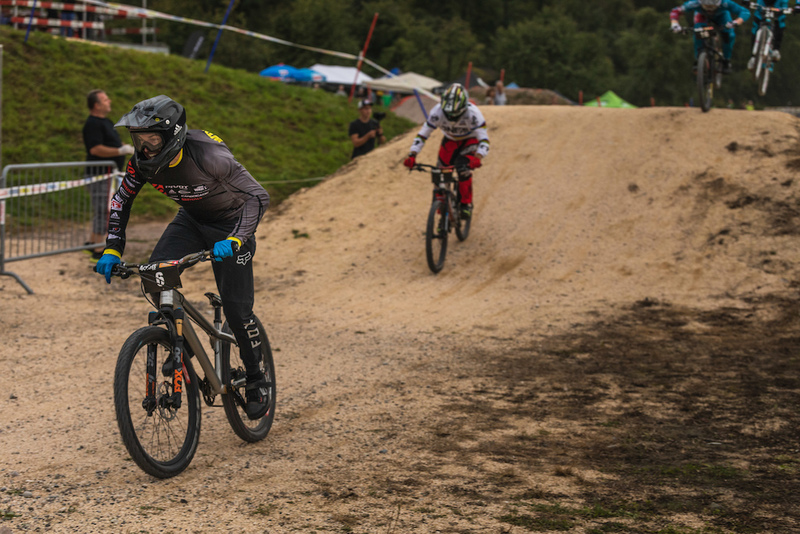 In the end, the team "Ginger-ninja Switzerland" was able to compete with the riders Simon Waldburger and Noel Niederberger as the best national team of the 7th MTB-Festival Leibstadt. Last 4Cross race for Simon Waldburger and Quentin Derbier. 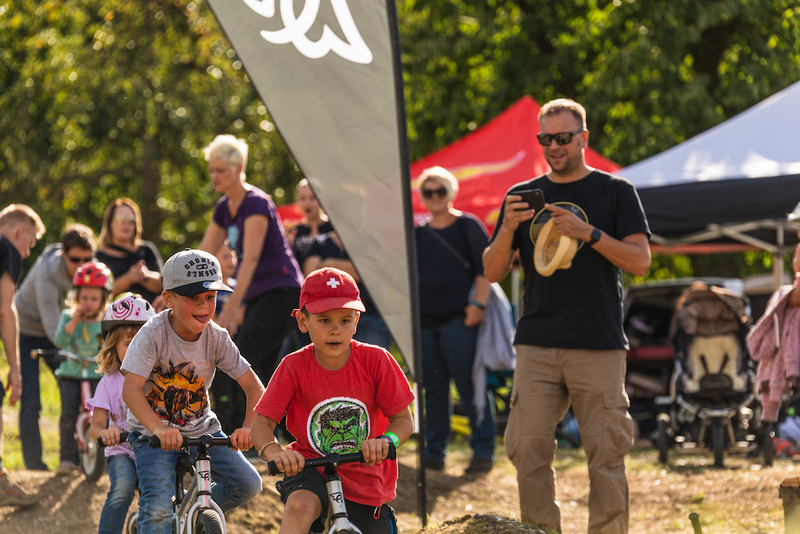 In retrospect, the 7th Mountainbike-Festival Leibstadt was a successful, highly spectacular event. 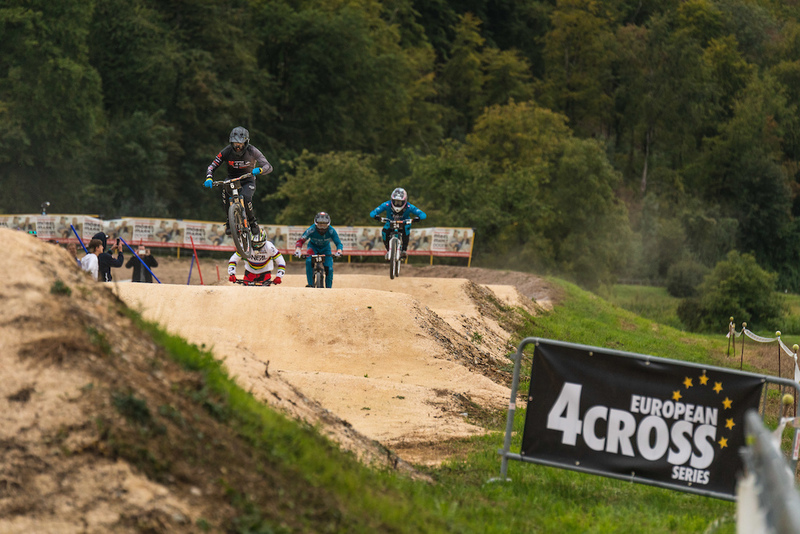 The weekend after next, the 12th and last run of the European 4Cross Series in Wolfach (D) is on the agenda. 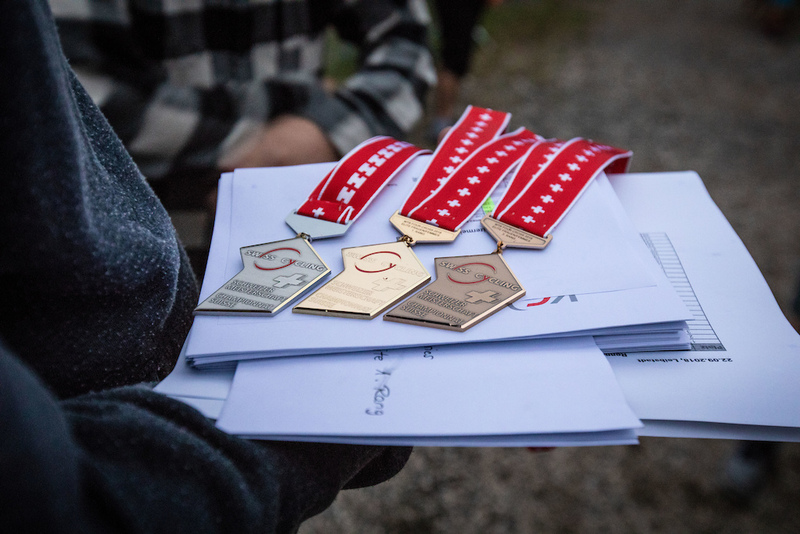 Therefore, the overall ranking remains exciting and we are already looking forward to another top event of the 12 races of the European 4Cross Series. Super awesome to see PB cover one of the other rad disciplines that our sport has to offer! Sick Event! And one of the best videos I‘ve seen in a while! Great to see 4Cross on the front page though!???????? Nice to see such a great coverage from a 4Cross event! Such a Great discipline. 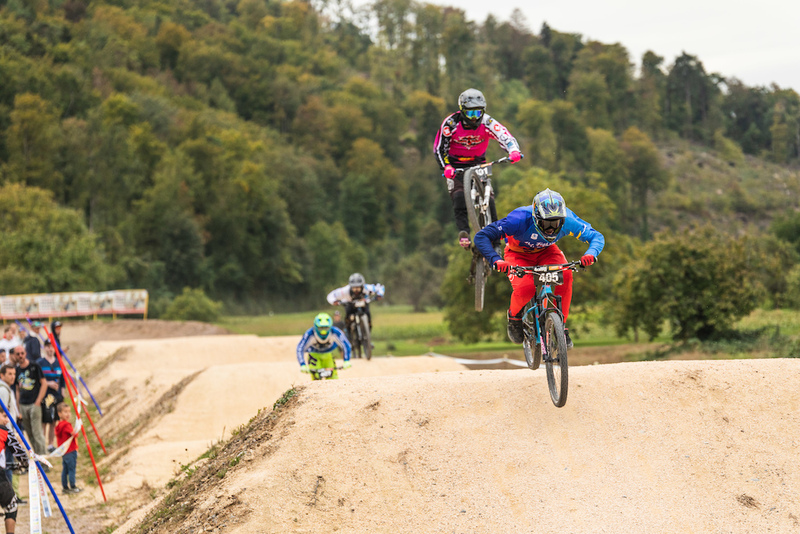 Shame they're racing on a BMX track!!! what is this 4X thing? looks like they have halved a bmx field and put front bouncers on? the only thing possible on a flat terrain. 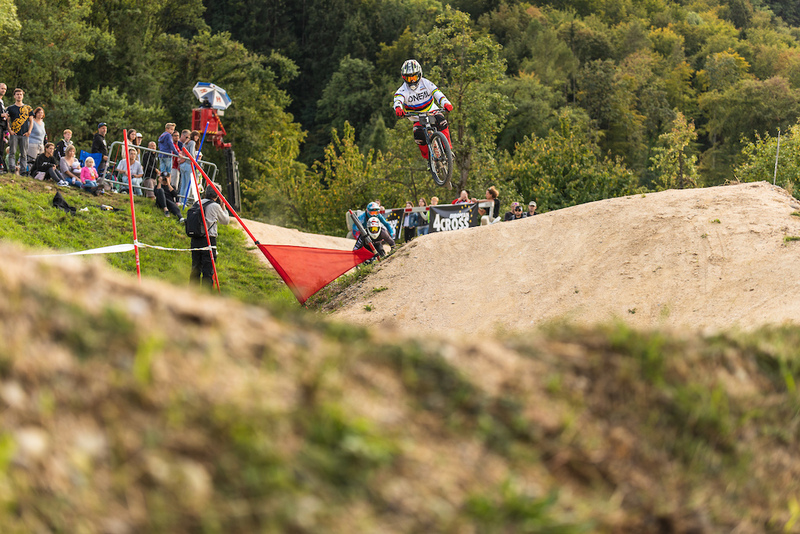 and still haven't seen such a first corner in bmx.